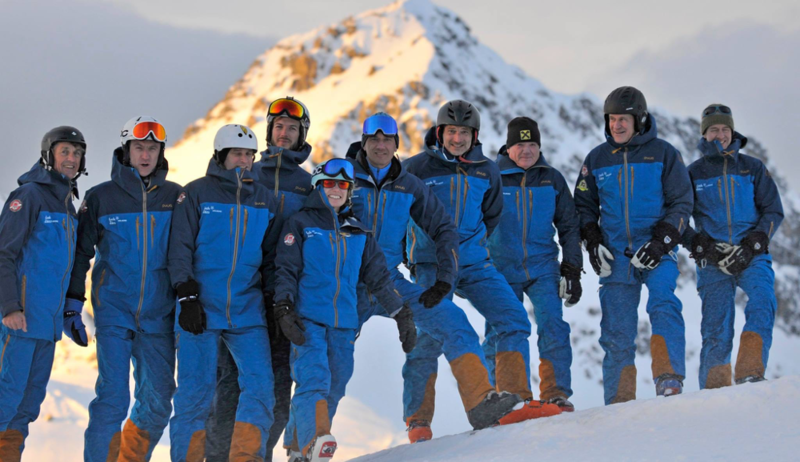 The independent ski instructors, ski guides and mountain guides from Lech, Warth, St.Anton and the Arlberg present themselves. The local private ski instructors offer longtime experience and therefore service at the highest level. We are the booking platform of the independent, private, licensed ski instructors, ski guides and mountain guides. Due to our concession we are legally authorized to operate flexibly and independently from any ski school organizations. Our target is to offer a quick and easy booking service for our guests and partner companies. We are at your disposal until lunch break also in the afternoon. In spring time it might be more reasonable to start earlier to enjoy better snow conditions and skip lunch break for that reason. Any other individual agreement is possible. After a 2years break we will again be equipped by Pyua. Besides quality and functional & modern design Pyua stands for environmentally friendly and sustainable production processes. Consistently the company cares for its ecological foot print. The concern for sustainability starts with an environment-friendly production and ends with recycling of worn cloths what leads to energy savings of about 83% and a Co2-savings of 77%. On Arlberg our offer covers: courses for beginners, child care and training, adult training, technique practice, guided tours through the whole area of Arlberg on slopes, off-piste, freeriding, heli-skiing! By our agency you may only book highly educated and long-term experienced Austrian ski instructors who are authorized for independent working and have got a professional liability insurance. You can book by phone, by email or online.